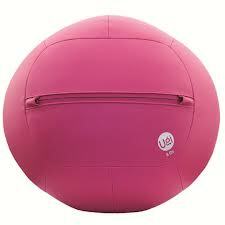 POR UMA VIDA MAIS SAUDÁVEL : MINHA UGI BALL CHEGOU! FINALMENTE CHEGOU A MINHA UGI BALL DIRETAMENTE DE VANCOUVER CANADÁ. AMANHÃ VOU À AGÊNCIA DOS CORREIOS E APÓS PAGAR A "MÓDICA" QUANTIA DE R$ 237,00 REFERENTE AOS IMPOSTOS, ESTAREI COM ELA! NÃO SAI BARATO . ALÉM DO VALOR EM DÓLAR DA BOLA + SHIPPING QUOTES AINDA TEM ESSE IMPOSTO. VAMOS VER SE VALE À PENA!